Portarlington Safe Harbour upgrade will kick off in the first week of February significantly contributing towards the future development of the harbour precinct and local community. The major infrastructure upgrade will consist of a brand new 175 metre long, 4.5 metre wide pier aligned alongside the existing pier. Portarlington Harbour is the main hub for Port Phillip Bay’s aquaculture industry and the upgrade will boost the mussel farming industry, allowing for increased access and vehicle load limits. Parks Victoria to build the new pier section and Moolap’s Coen Precast will conduct concrete work on the pier in a bid to open up more jobs for locals. 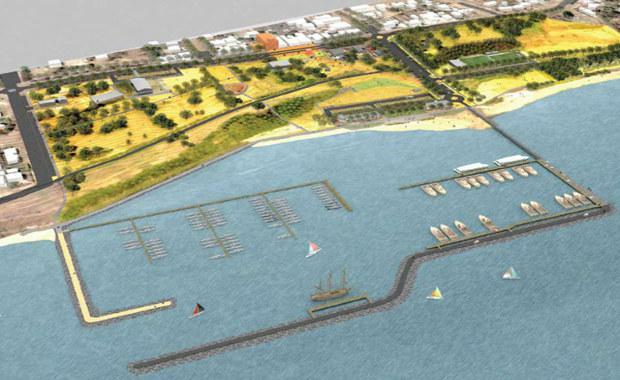 The development will support local jobs during construction, with more to be introduced when the master plan is released and the short-term closures of the pier commence. These closures have been designed to protect visitor and contractor safety when equipment is being moved around the construction area. The commencement of renewal works fulfils the Labor Government’s election promise. Minister for the Environment and the Member for Bellarine Lisa Neville announced on the 23rd of January when the work would commence and how fundamental it is. “I have worked with the community for over six years to get this project off the ground. “The project will support local jobs during construction and it will anchor the Bay’s thriving aquaculture industry to the Bellarine Peninsula.” Ms Neville said. Detailed planning for future stages of the Portarlington Safe Harbour development is underway and the pier upgrade will be completed by mid 2015.